Taipei, Feb. 17 (CNA) The Republic of China's (ROC, Taiwan) sovereignty over the Diaoyutai Islands in the East China Sea is indisputable and any statements that deny this fact are tantamount to the surrender of the country's sovereign rights under humiliating terms, Presidential Office spokesman Charles Chen (陳以信) said Wednesday. Chen's remarks came after former President Lee Teng-hui (李登輝) wrote in a new book titled "Remaining Life: My Life Journey and the Road of Taiwan's Democracy" (餘生：我的生命之旅與台灣民主之路) that "the Diaoyutai Islands do not belong to Taiwan. This is an unquestionable fact." In the book, he criticized former premier Yu Shyi-kun's (游錫堃) decision to include the islands under the administration of Toucheng Township, Yilan County, saying "there is nothing more stupid than this." In response, Chen said that the ROC government has consistently asserted that the Diaoyutai Islands are an island group appertaining to Taiwan. 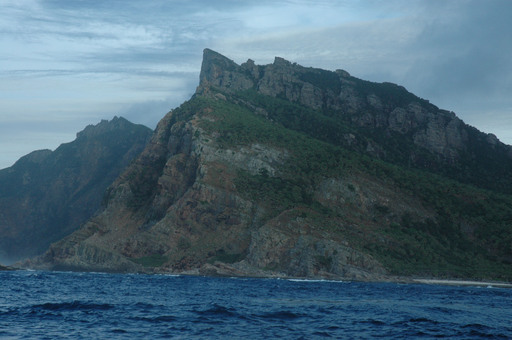 "It is an indisputable fact that from the perspective of geography, geology, history and international law, the Diaoyutais are an inalienable part of ROC territory," Chen noted, while emphasizing that "no person or country can deny our nation's sovereignty over the islands."